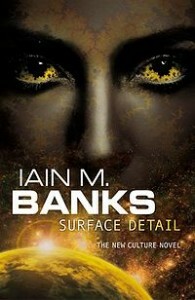 The name of the blog comes from a spacecraft found in the Culture novels and short stories by Iain M. Banks. The Culture is a hybrid society featured in many of these novels. In this setting, each Culture ship, and some others, is also an artificial intelligence with a distinctive personality. Many of these ships are significant characters in the novels. The machine intelligences called Minds (and, as a consequence, the Culture starships that they inhabit) usually bear names that do a little more than just identify them. The Minds choose their own names, and thus they usually express something about a particular Mind’s attitude, character or aims in their personal life. Warship names are similar in retaining the whimsical nature, though the humour tends to be more cynical and threatening. Banks composed many of the Culture ships’ names very carefully to express the attitude of the ship’s Mind, and a few names contain puns where both meanings are appropriate to the ship’s attitude. A few of the ship names, like variations on “gravitas” are also installments in running gags. Some ships’ names hint at their purpose, but in a way that is not clear until near the end of the book. For example, Sleeper Service is a sleeper agent whose cover is a suspended animation “sleeper service”.